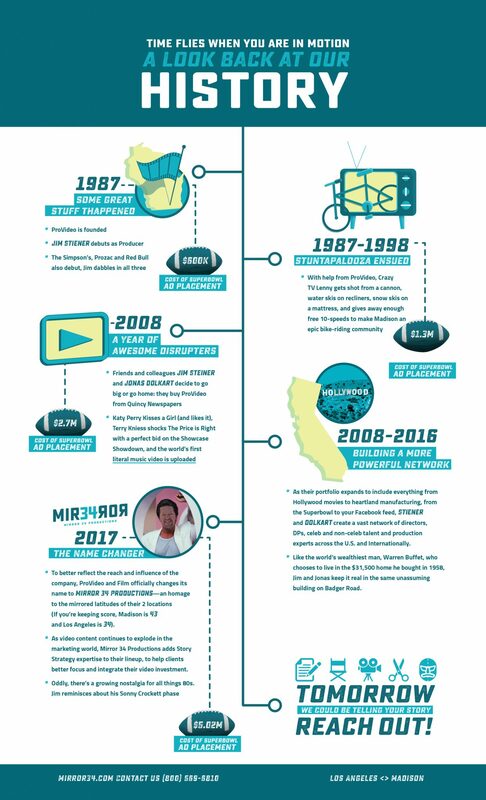 While we can’t tell you what the video landscape will mean in another 30 years, we thought it would be fun to take a look 30 years back, when a certain awesome production company was born. Good storytelling is king. With the volume of video being created, it’s even more critical that your story connects with your audience or it will be quickly swiped away. Video quality is critical. Low quality video (subpar talent, poor lighting and sound, uninspired locations, poor creative direction) will deliver low video engagement. 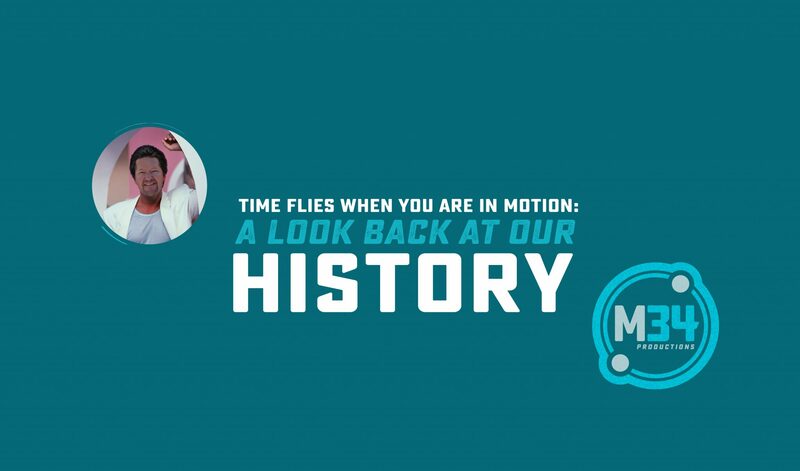 As M34 focuses on the next 30 years of providing creatively awesome video content for products, brands, recruitment, commercials, testimonials, product demos and more, we took a moment to look back. Way back. 1987 to be exact. So tell Siri to play Flock of Seagulls and enjoy!